The Greendale Rocket is a steam train driven by Ajay Baines to take people and parcels from Greendale to Pencaster and back again. 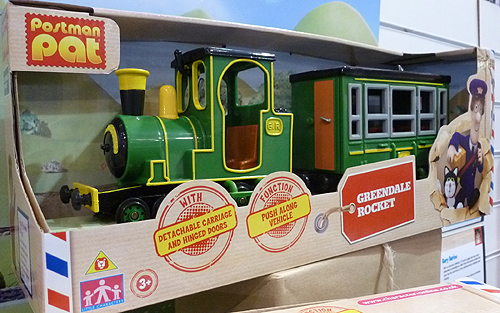 The SDS Greendale Rocket train features musical sound effects, opening doors and separate carriage. The Rocket is ideal for use with the Greendale Station Playset.